Sugarcane plant are several species of tall perennial true grasses of the genus Saccharum, tribe Andropogoneae, native to the warm temperate to tropical regions of South Asia and Melanesia, and used for sugar production. It has stout, jointed, fibrous stalks that are rich in the sugar sucrose, which accumulates in the stalk internodes. The plant is two to six meters (six to twenty feet) tall. All sugar cane species interbreed and the major commercial cultivars are complex hybrids. Sugarcane belongs to the grass family Poaceae, an economically important seed plant family that includes maize, wheat, rice, and sorghum, and many forage crops. Raw sugarcane juice bar crushes the sugarcane to extract the juice. The crushing process breaks up the hard nodes of the cane and flattens the stems. The juice is collected, filtered and served to the customer right on the spot. The juice is always fresh with no preservatives or artificial food colors added. Drinking a glass of raw sugarcane juice has a surprising number of health benefits and is loaded with critical nutrients that our body needs. Raw sugarcane juice can lower blood pressure, strengthen the bones, reduce cholesterol, aid in weight loss, fight fevers and infections, and soothe stress. It can help you sleep better, boost energy levels, support kidney health, strengthen the immune system, protect the skin, optimize digestion and manage diabetes, among others. Also the nutritional density of sugarcane juice is impressive and includes significant levels of potassium, calcium, magnesium, iron, manganese, various amino acids, zinc, thiamin, and riboflavin. There are approximately 180 calories in an 8-ounce glass of sugarcane juice, as well as 30 grams of sugar. Furthermore, this juice is high in dietary fiber. It provides antioxidants like flavonoids and polyphenolic compounds, which can further aid your overall health and reduce oxidative stress. Located in Accra, opposite the Osu mall, the sugarcane juice bar provides customers fresh sugar juice that helps customers in boosting their energy, aids in food digestion process and Sugarcane juice is a diuretic which means that it helps treat urinary tract infections, kidney stones and ensure proper functioning of the kidneys. 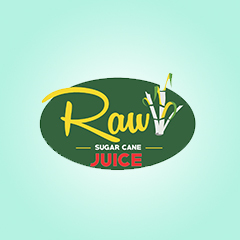 Customers can order from Raw Sugarcane juice bar through the Pizarea platform and have it delivered o them wherever they may be within Accra.